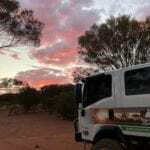 If you’re in the Western Australian Goldfields, what’s the quickest way to get to Uluru? The Great Central Road of course! 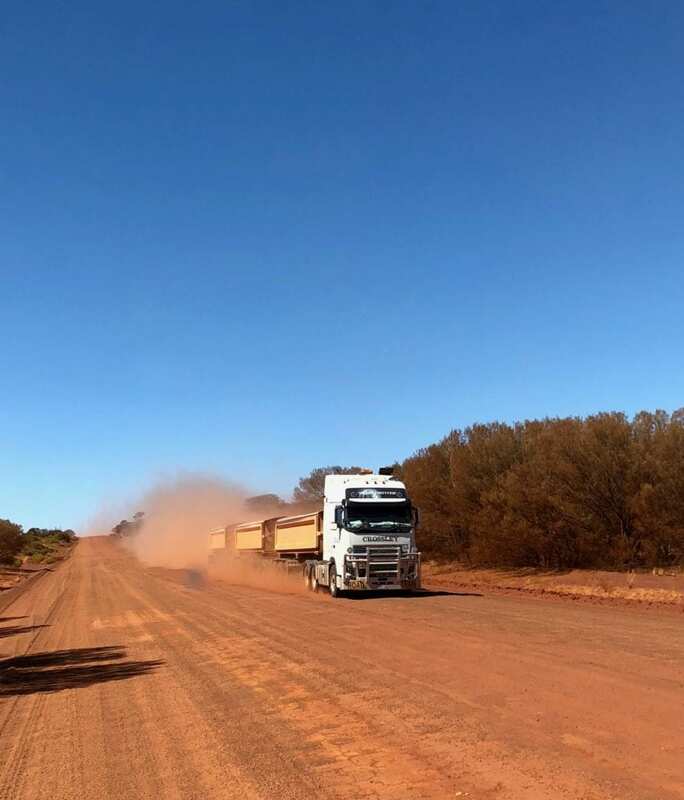 Way quicker than going over the top of WA and down through the NT via the Tanami Road, or crossing the Nullarbor then chucking a left at the Stuart Highway. And the scenery is simply amazing. Magnificent desert landscapes, open plains… a true desert outback experience. 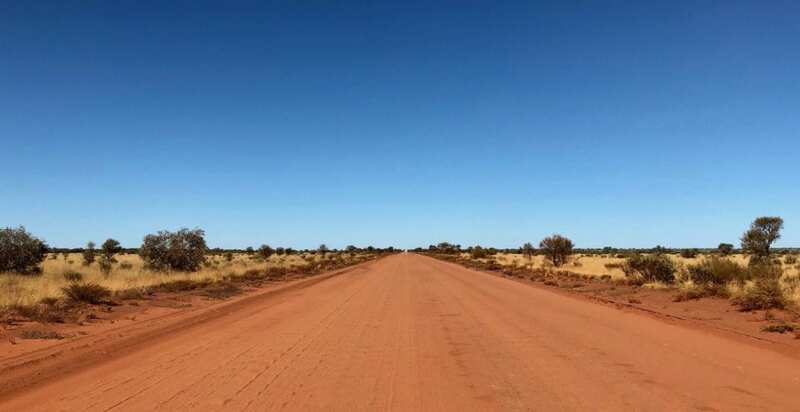 The Great Central Road is part of the Outback Way, traversing three states. It starts at Laverton WA, through Alice Springs, then east to Winton QLD via the Plenty and Donohue Highways. A lazy 2,700km or thereabouts. 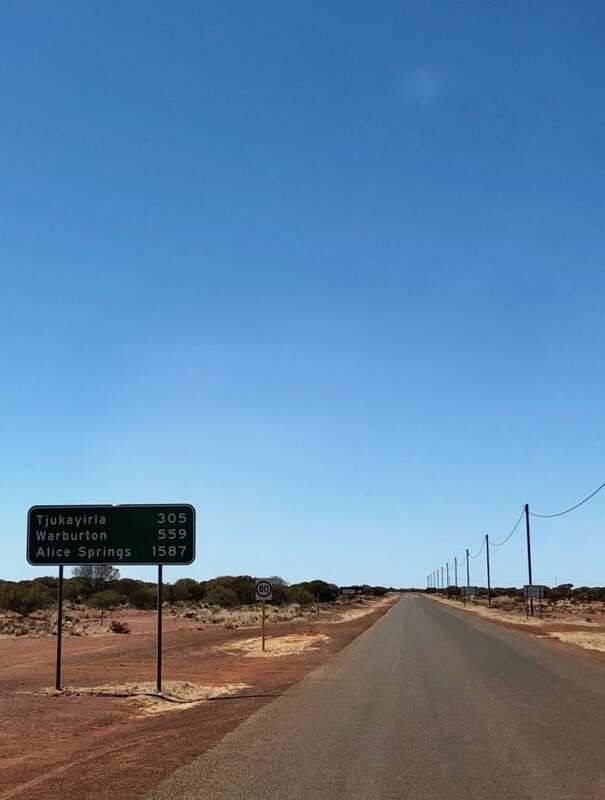 The Great Central Road is “only” 1,075km, from Laverton to Kata Tjuta. 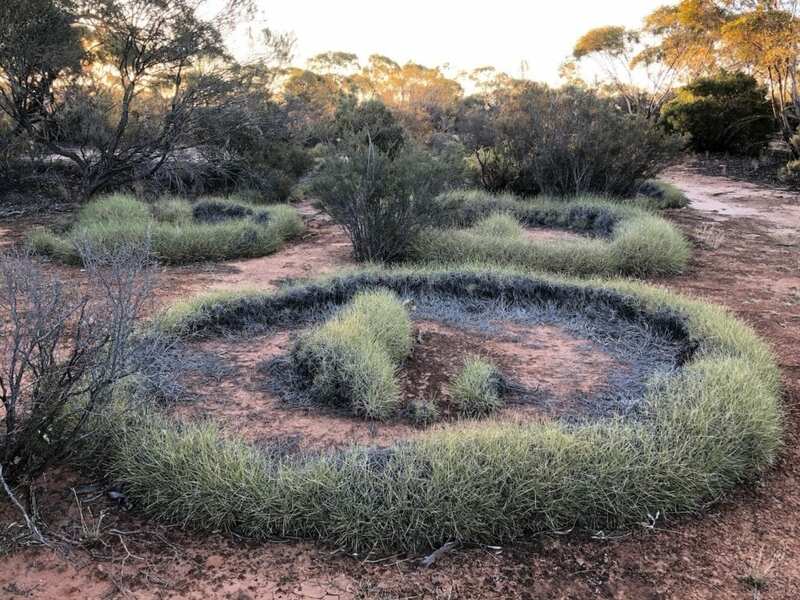 We were fortunate to see these beautiful spinifex circles in all their glory at Lake Throssell. We left Leinster, a town built by BHP for the nearby nickel mine. 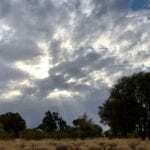 It’s in the northern Goldfields, about 260km north-west of Laverton. So our first day on the Great Central Road was a short one. Just east of Laverton. The shire boundary is a lazy 434km up the road! This section had a few vehicles, mainly roadtrains servicing nearby mines. The road was in pretty good condition here, although the clouds of fine dust made overtaking all but impossible. Pulling over for a triple road train. Fortunately the wind was blowing the dust away from us on this occasion. We followed a slow-moving caravan for quite a while, unable to get around them due to the dust. They obviously weren’t going to do the right thing and stop to let us pass, and either didn’t have a UHF or were ignoring us. So we gave up and stopped for a lunch break. We imagined their conversation. “We should turn around. This will shake our van to pieces”. “No, we’ll go a bit further and see if it gets any better”. “I think that bloke on the two-way is calling us”. “Bugger him, he can wait”. The road trains we encountered were a different story. We called them up on the UHF and they helped us around. Thanks! One unsavoury experience was a caravaner pulled up off the road. At first we thought he might be broken down. Then we realised the filthy pig was emptying his toilet cassette into the scrub. In hindsight we should have stopped and confronted him. They were no more than 50km out of Laverton, so why the hell didn’t they use the dump point there? Wish we’d taken a photo of him. Rest assured it would be prominently featured right here. With the day wearing on, we decided it was time to find somewhere to camp. 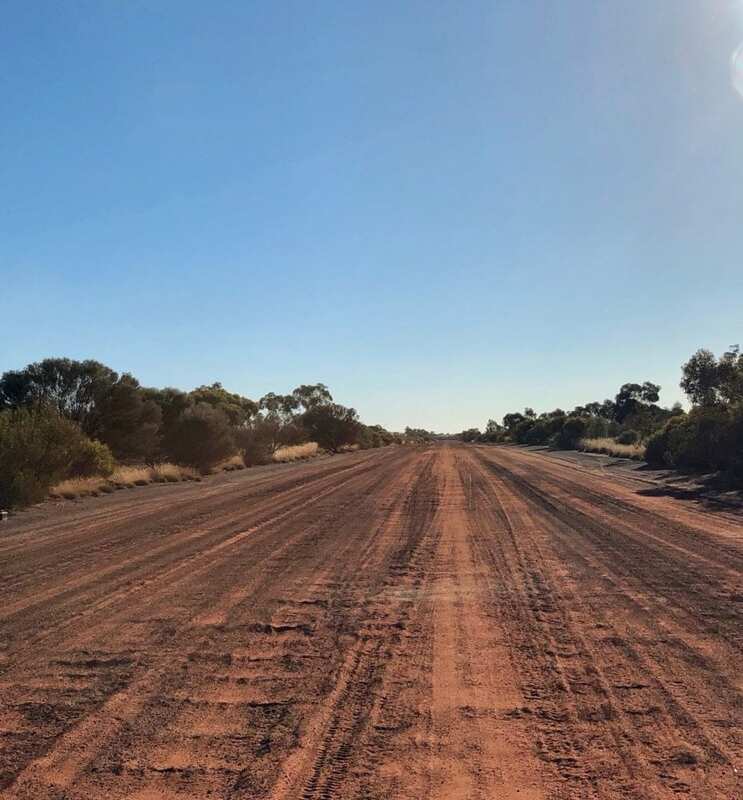 About 70km east of the Cosmo-Newbery turnoff (an Aboriginal community), the road follows a dry salt lake around its southern edge. This is Lake Throssell, a loosely-defined chain of salt lakes. One track led us to a large grassy salt pan. Knowing salt pans are notoriously boggy, I decided to jump out of the truck and check out the ground under the tall grass. Glad I did. It had a really thin top skin, which broke underfoot to expose a soft layer underneath. If we had driven across this, we’d still be there! Other 4WDs had driven on it, but our heavier truck would have sunk to its axles. Just up the road we found a spot on some higher ground, well off the road and tucked away in the scrub. This was a fantastic spot, so peaceful and protected. The next morning we pointed the truck east towards Tjukayirla. We encountered a couple of stretches of tar, about 50km in all. There was another 20km section being formed up, with a one lane detour pushed through the scrub beside it. Murphy’s Law kicked in and we encountered the only 2 cars we had seen all morning along this detour! The landscape was magnificent. Clearly they’d had winter rains here. 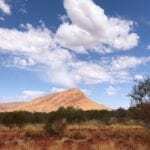 Enormous plains of white spinifex swayed in the breeze, book-ended by red sand dunes and dotted with flowering shrubs. The desert was putting on a rare display for us. Red sandy roads and white spinifex on the Great Central Road. This is the life! 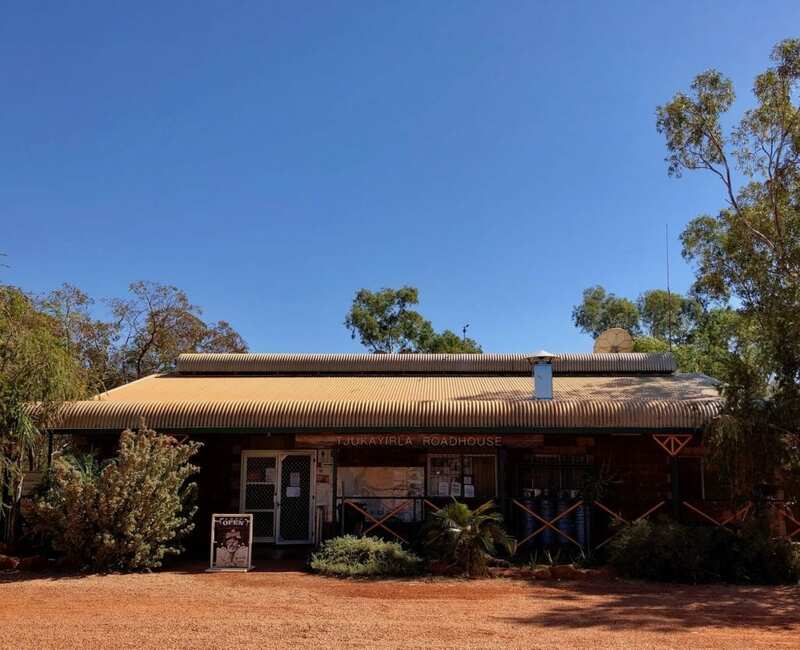 A “just in case” fuel top-up at Tjukayirla and a yarn with the young lady there, a quick look at the campground where we’d camped in 2010, then back on the road. You’re spoilt for choice. We spent a bit of time compiling a list of possible campsites along the Great Central Road for you. For more information on supplies, fuel and permits, go here. For more information on the Great Central Road Conditions, go here. We were only 300km into our journey across the Great Central Road, yet the scenery had changed so much. 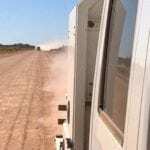 From the classic rough and rocky Goldfields country west of Laverton, we had pushed into desert country. The Great Central Road can be rough in places. This section was badly corrugated. Join us next time for our final leg of the Great Central Road, through the Great Victoria Desert to Kata-Tjuta. 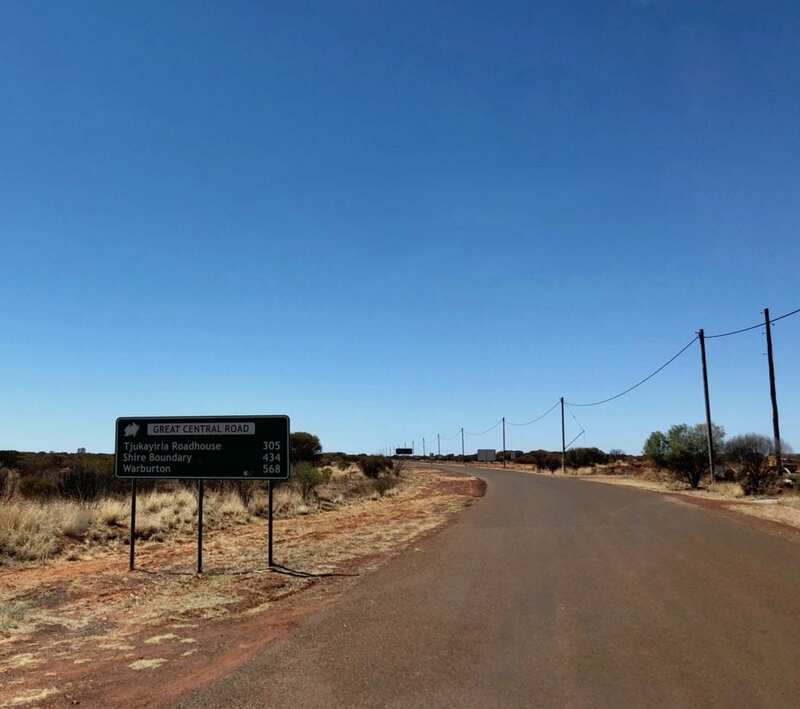 This section of the Great Central Road passes through Tjalkanti and Nyanganyatjara Country.